The Simon Youth Foundation is helping a deserving high school senior living near Quaker Bridge Mall to pursue a college education. The Simon Youth Foundation is a national nonprofit committed to helping students reach graduation day. The foundation partners with local public school districts to launch Simon Youth Academies, alternative classroom settings located primarily in Simon Malls that provide students at risk of dropping out with personalized support needed to reach graduation day, and by providing Simon Youth Scholarships to graduating seniors who live near Simon centers. 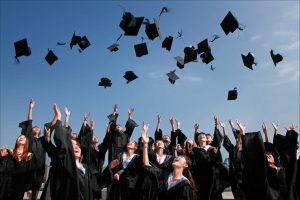 The foundation will award a one-time $1,500 scholarship to a graduating high school senior living in Mercer County, to use toward tuition at an accredited college, university, vocational school, or technical school. Since the beginning of Simon Youth Foundation in 1998, shoppers at Simon Malls have been among the foundation’s supporters, contributing millions of dollars to support its mission to help students graduate. Students may apply until Feb. 20. Students who will be graduating from high school in 2019 and live in the community surrounding Mercer County in New Jersey and Montgomery, Lehigh, and Bucks counties in Pennsylvania are eligible to apply.